“The Hardies, originated in Perthshire, near Dunkeld, Peter Hardie (c. 1775-1863) being a pupil of the famous Niel Gow (1727-1807). His cousin Matthew Hardie (1755-1826) was the Edinburgh violin-maker whose work was so highly praised by William C. Honeyman in his Scottish Violin Makers: Past and Present. In view of this, the reader may well ask how the Hardie family came to embrace the North-East or Buchan style of playing. Around 1830, Peter's son William (1787-1884) moved up to Aberdeenshire and eventually became the tenant of 'Auchencruive', a croft in the Methlick area. He married Mary Strachan (1805-1910), the daughter of James Strachan, 'Drumnagarrow' another celebrated North East fiddler. Of their family of fifteen, three sons, James, Charles and William distinguished themselves musically. James Hardie (1836-1916) made his first violin at the age of fifteen, eventually setting up in business in Edinburgh, becoming (according to Honeyman) one of the finest violin-makers of his time. His talents also included considerable skill in playing strathspeys and reels. 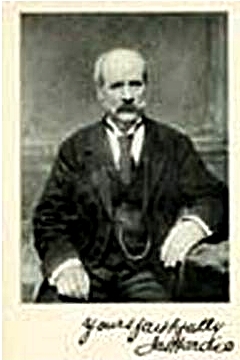 Charles Hardie (1849-1893) was a player of exceptional talent. Official recognition came in the form of many invitations to play for Queen Victoria at Balmoral Castle. An assessment of his ability was made by J. Scott Skinner in his Elgin Collection: 'The composer considers that Mr Charles Hardie, Aberdeen, is the finest exponent of his compositions living'.